Surprised to receive a NETs Cancer and Chronic Kidney Disease diagnosis on the same day in 2016, Anne was immediately motivated into advocacy for her new health issues. A timely meeting with a 17-year NETs survivor the following month challenged Anne to adopt a “ Living with NETs Cancer, Not dying from it” mindset. So far it is working! In the two years since her tumor debulking surgery, she has moved her family cross country, travelled overseas twice, and welcomed their first two grandchildren. Once settled back into her native East Tennessee environment, Anne managed to fulfill a promise made to herself and her first NETs friend to pay it forward by helping others acclimate to living with NETS. 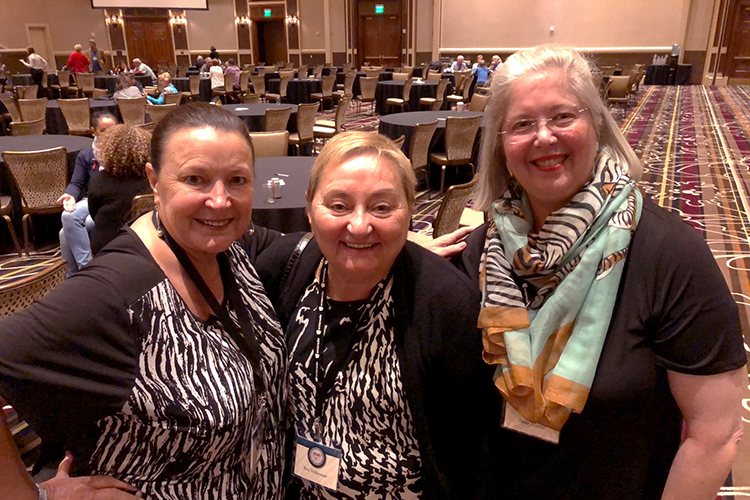 In March 2018, Anne, Paula Hurt, and NCAN joined efforts to start a TN support group. In planning for her future, Anne intends to continue educational opportunities about Net Cancer, expand the programs and enrollment of the TN Support Group, love on her granddaughters as much as possible, and to live her best day ever…every day. 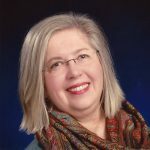 Paula Hurt is a Neuroendocrine patient living near Chattanooga and a NCAN TN Chapter co-leader. 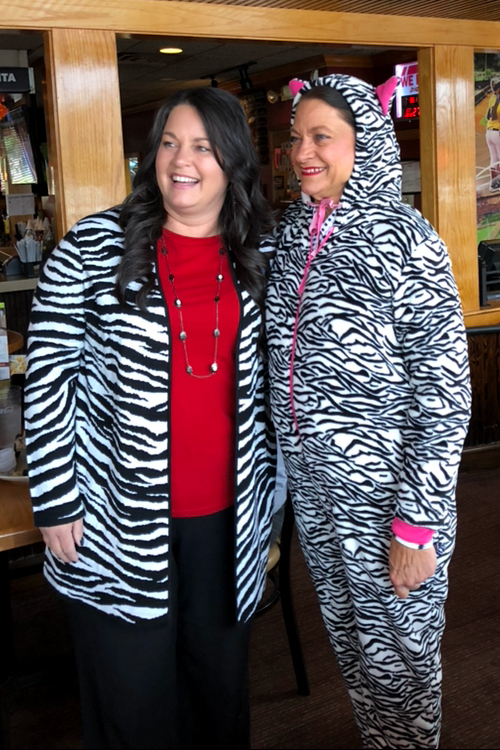 She is dedicated to helping patients living with NETS and to bringing awareness of Neuroendocrine Cancer to the public and the medical community. Paula suffered symptoms from 1988 to 2011 when her NET tumors were discovered during an emergency surgery for an intestinal blockage. Paula was shocked to learn she had cancer but relieved that she had an answer for her heath problems which ranged from symptoms of ulcers, gallbladder disease, IBS, asthma and hormonal issues. As her pre-surgery symptoms persisted, Paula began to search for information on Neuroendocrine / Carcinoid Cancer. During her search she found the website for NCAN (CCAN) and reached out to them for hope, knowledge and guidance. It was through NCAN that Paula found a NET Specialist and started to control her Carcinoid Symptoms. 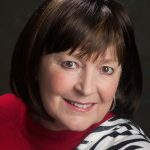 Today, Paula continues to broaden her knowledge of NETS attending seminars and conferences to garner information to share with patients, caregivers and the medical community. She cares deeply for NET Patients and their families, making herself available to them at all times. She feels that a leaders role is to be empathic, knowledgeable and involved. Paula’s mantra is: Everyday is an opportunity to help someone find hope and courage. This NCAN chapter support group meets on the last Saturday of every month – 1PM to 3PM. As NETS patients and caregivers, we share a common goal to serve as a physical and emotional support group for one another. Our purpose is to explore educational information and resources about Neuroendocrine Cancer with the intent to develop helpful strategies for living with NETS. 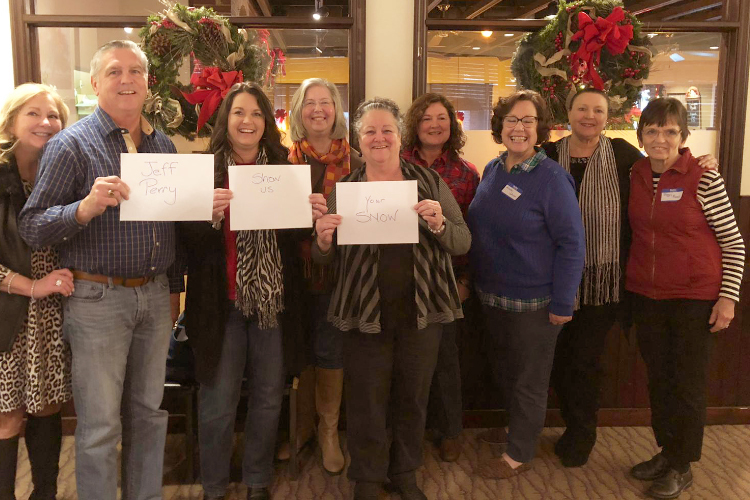 During 2018 our group established itself as being as diverse as the geography of Tennessee! 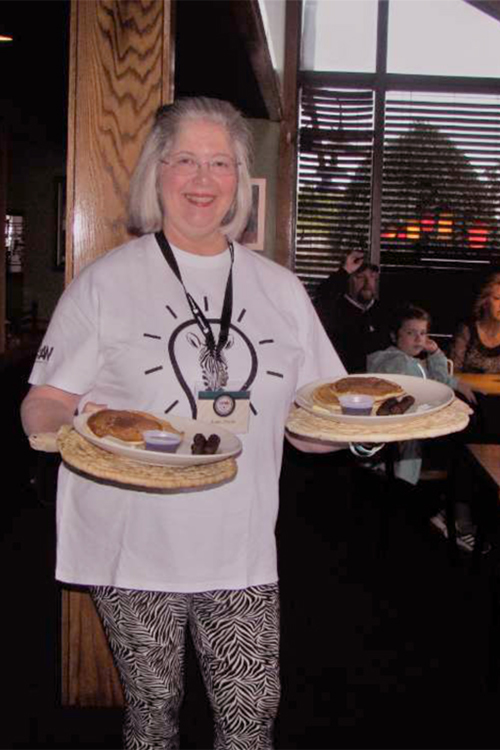 Meetings were held in Knoxville and Chattanooga and included a Pancake Breakfast fundraiser, a Lexicon Pharmaceuticals Clinical nurse educator presentation, plus casual information sharing at local restaurants. In September, seven members attended the NCAN National Conference in Las Vegas. 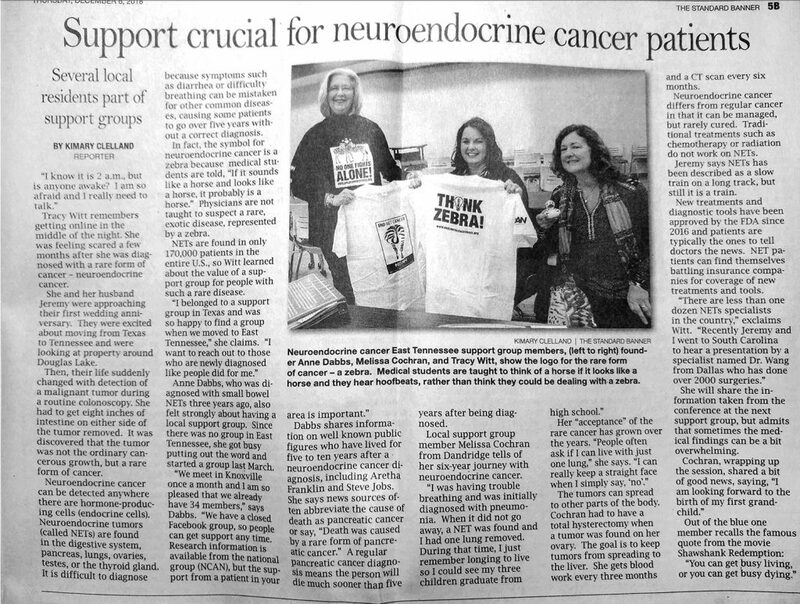 In November, four members were interviewed by a local newspaper to help promote Net Cancer Awareness. One of our goals for 2019 is to enhance our schedule to accommodate more of our West and Middle Tennessee members (TN is 440 miles long!). We are looking forward to the anticipated professional speakers and member led topics of interest during our meetings. We hope you will decide to join us! From THE STANDARD BANNER December 6, 2018 – Neuroendocrine Cancer Awareness At It’s Best!